As we’ve talked about many times before, having access to potable water is the most important aspect of any survival situation. There are many different filters and purifiers out there, but you never know when you might need an emergency backup plan. If you have the resources available to you, you can always boil your water before consuming it, but what if you don’t have that luxury? 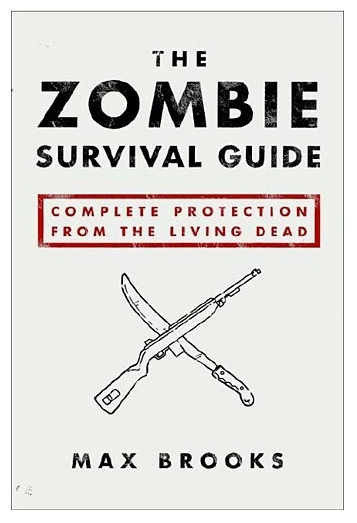 What if your purifier is broken and you’ve lost your fire starter? That’s where these hand-dandy little guys come in to play, and having some of these on hand may just save your life. 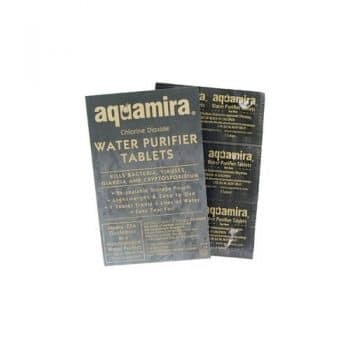 The Aquamira water purification tablet is a conveniently travel-sized easy to use one step EPA approved water purification system. You simply drop one tablet into your liter bottle of water and wait the allotted time and presto! Drink up. The tablet is comprised of the same chemical utilized in municipal water treatment facilities in a neat single serve packet. These solid tablets of chlorine dioxide come in 12 and 24 packs. A 24 pack will keep an individual drinking clean water for about 4 days. These tablets are a little bit pricey to use a full time treatment option (and you’d have to carry a lot of them around), but they are the absolute best for an emergency backup. They even add a crisp and clean taste to the water after you’ve treated it! Nothing like a refreshing drink before you take on the zombie hordes! Stay hydrated and stay alive!